Give us a little hand – Every little bit helps. Any donation to the Trust is much appreciated and goes towards the building’s general upkeep and our day-to-day running costs. If you’re feeling a bit more generous, consider becoming a friend and make an even bigger difference! *Gift Aid allows us to claim an extra 25p for every £1 donated at no extra cost to you. Please be aware that you must be a UK taxpayer and have paid income and/or capital gains tax at least equal to the amount of tax reclaimed by all charities and Community Amateur Sports Clubs on all your donations in the tax year. Please leave us a note if you are eligible. 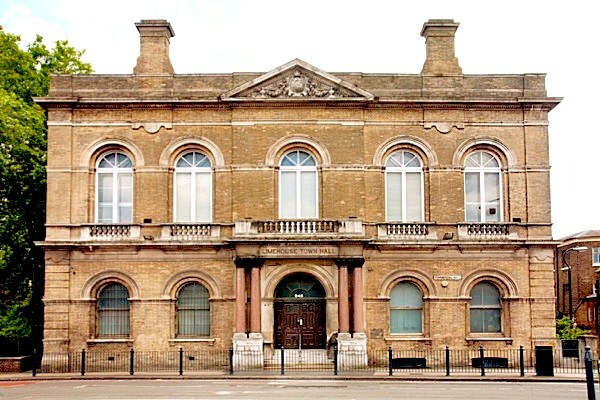 © Limehouse Town Hall. All rights reserved.